About the project “The Russian Museum: the Virtual Branch” | Проект "Русский музей: виртуальный филиал"
The Russian museum has been successfully working on the project “The Russian museum: the virtual branch” since 2003. It has been realised with the help of the joint-stock financial corporation “Sistema”. The general sponsor of the project is “Mobile TeleSystems”. The Russian museum – the first state museum of fine arts in the country – was founded in 1895 in Saint-Petersburg. Today the Russian museum is a huge museum complex including six buildings and two historical and architectural parks. The museum is a unique repository of artistic values, a famous restoration, scientific and research, methodological, educational and cultural centre of Russia. The collection of the Russian Museum numbers about 400,000 exhibits, embraces a thousand-year historic period and reflects all the tendencies of the development of Russian art – its main types and genres, trends and schools. 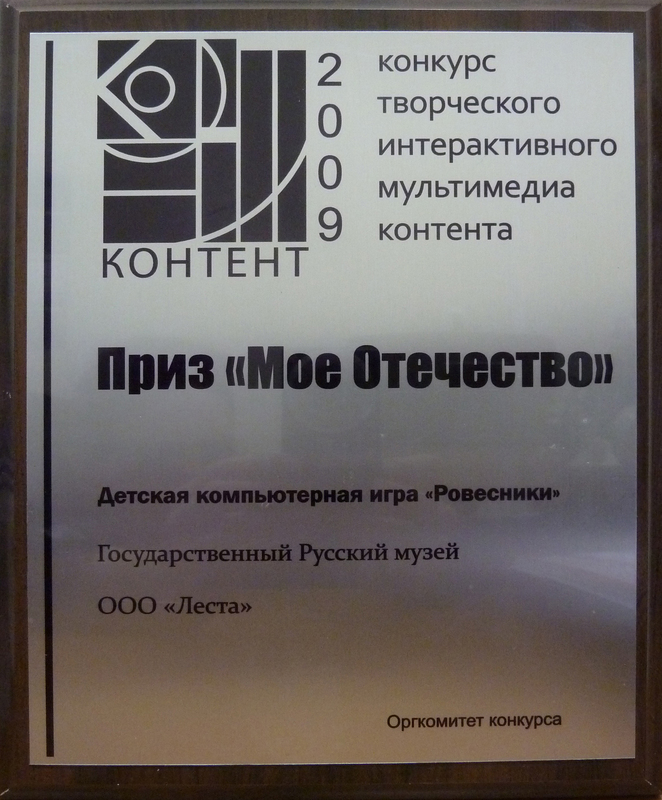 More than 20 years ago the Russian Museum started implementing computer technology into the museum's activities. From the middle of the nineteen nineties the museum has been creating multimedia programs for temporary exhibitions and programs on the history of the palaces and the collection of the museum. “The Russian museum: the virtual branch” is an international project of the Russian Museum which embodies the idea of making the greatest collection of national art more accessible to the wider public. The possibilities of computer technology let us realise this goal by creating information and educational centres “The Russian Museum: the virtual branch” which are based within institutions of culture and education, both in Russia and abroad. • to admire the masterpieces from the collection of the museums which are participants of the project. The structure of the virtual branch consists of an informational and educational class, and a multimedia cinema . The content of the centre is the Mediateka which includes the computer interactive programs together with multimedia and DVD films. You can learn more about the programs on the portal in the section Mediateka. The multimedia cinema is the auditorium, equiped with the projecting system, a computer, a DVD-player, audio-system. In multimedia cinema there are films and programs presented that are created with the use of latest achievments of IT. For example, the program “The Virtual World of the Russian Museum” gives an opportunity not only let one have a virtual tour around palaces and parks of the Russian museum’s complex and get acquainted with museum’s exposition, but also helps users have a look at the reconstructions of the lost interiors etc. Thanks to modern computer technologies users of the program have an opportunity to walk through one painting into another with the help of specially constructed 3D space. In the informational and educational class-room equipped with computers there are interactive multimedia programs presented along with printed editions on collections of the Russian museum, history of Russian art, history of palaces and parks of museum complex. Here visitors can work with the components of Mediateka on their own, visit the web-portal of the informational and educational centre, the web-site of the Russian museum and the other Internet-resources on cultural heritage of Russia. There are also special classes for children and students held using various educational methods including that of Russian centre for museum pedagogics and children’s creative work. 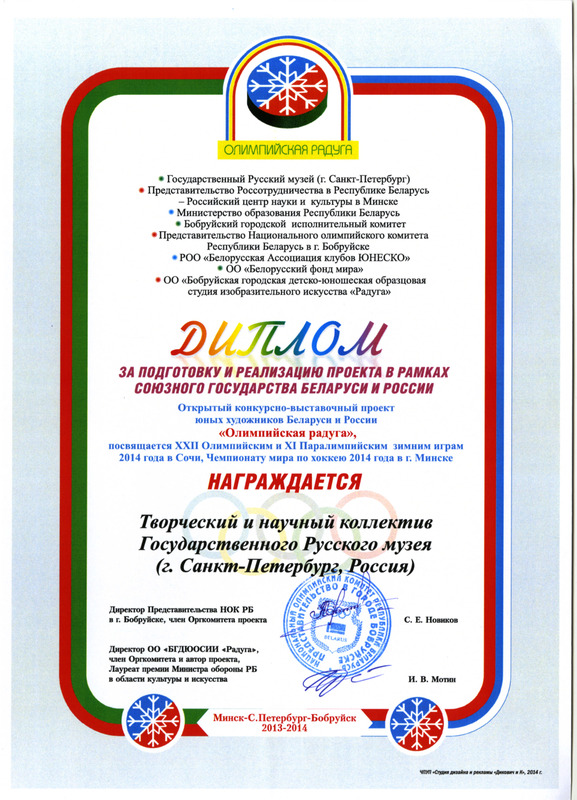 Today there are 179 information and educational centres “The Russian museum: the virtual branch” (136 in Russia, 41 abroad and 2 on Antarctica) open in cultural and educational organisations in Russian and abroad (see more). 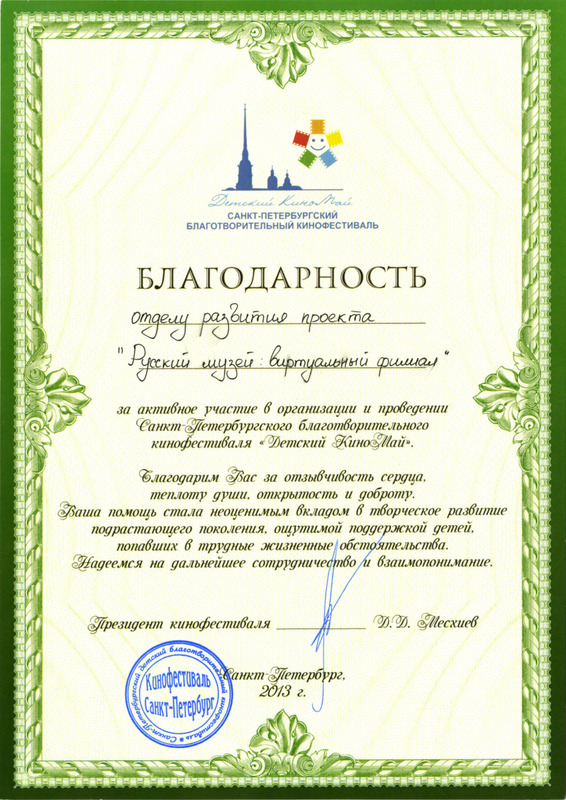 The project “The Russian museum: the virtual branch” includes activities on organisation and holding various events the purpose of which is the increase of effectiveness of virtual branches’ work and improvement of coopperation among participants of the project and the Russian museum: carrying out videoconferences, annual seminars for the staff of informational and educational centres, creation of new computer programs.